The courses are designed by Mogie Bearden-Muller with consultation from Captain Mark Phillips. 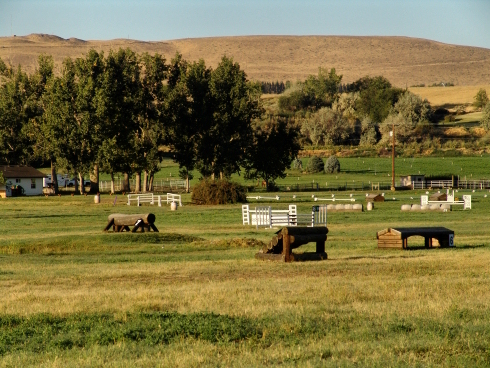 They were built by Bert Wood, who also builds Woodside, Rebecca Farms, and Galway, so the courses will look familiar and will be good schooling for those competitions. Efforts are designed to be inviting at each level, so they are appropriate for move-up or confidence building at that level. Each type of obstacle is represented at many levels so the horse can learn the basic idea and then easily move up to the next level. Newly constructed courses were completed in Fall 2007. Several improvements are made yearly, reflecting current competition challenges. We offer full regulation courses at Beginner Novice, Novice, Training, and Preliminary. We also have several "Grasshopper" and Intermediate efforts. Fun for everyone! 17 efforts; 1500 meters. Optional water, ditch, and bank. 22 efforts (max 20 for competitions); 1600 meters including water and bank. Ditch option. 22 efforts, 2000 meters. Water, bank, trakehner, coffin and Berlin wall. 24 efforts, 2200 meters. 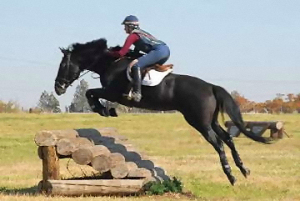 Water, bank, trakehner, coffin, corner and Berlin wall.